Today I am mostly reading about trading. There is an interesting article in this months SmartSigger (Get your 1st month free here http://dailypunt.com/smartsig ) about the different types of Betfair trader and what sort of trader you might be. I haven't tried it yet, but it definitely sounds like it is worth a play. – Position In Queue (PIQ) – provides a real-time estimated PIQ, arguably the most important and unique feature of our ladder! – Automated Trading Robot – included is a unique Betfair bot, watch it trade on the ladder for you! I think the most interesting and important feature for the trader is the advanced charts! If you've used it before I'd love to have your feedback in the comments. Every so often we get an influx of support questions about betting in-play and the issues people are getting when they are trying to get matched at 1.09 or whatever the latest fad is regarding this idea. This idea has been going around in different forms since Betfair began and is based around getting matched as often as you can on the horse that looks like it will win the race. The normal explanation is that you get on the first runner that drops below a certain price. It’s started in the early days of getting matched at 1.01 or 1.02 gradually it has moved out to 1.09 or somewhere close. The problem lies with Betfair’s matching policy. If you put a “back” bet into the market at 1.09 then only 3 things can happen. 2. You don’t get matched at all. 3. You get matched higher than 1.09. If you are lucky and as soon as you put your bet into the market Betfair has enough money on the lay side to match your bet, you will get matched at 1.09. You don’t get matched at all. Betfair will not match a back bet under the price you asked for, so if the price has moved past 1.09 IE it has continued shortening you will not get matched. Betfair’s policy allows them to match a back bet at a higher price than you asked for. This is how the exchange works if they couldn’t do this then Betfair wouldn’t exist. So if the price drifts because the horse no longer looks like a winner then you will get matched at the higher price. So with the above in mind let me show you how this idea is flawed. You are sitting there watching the screen or running a bot that is set to put a bet into the market either on the first runner to hit 1.09 or a pre determined named runner. The runner hits 1.09 and you place your bet into the market. So our first assumption is that this runner is likely to win the race because it has hit 1.09. If it is winning the race (and a lot of people will be watching live at the course checking this) then two things will be happening…. 1. All the people out there using a similar strategy will be putting as much money into the market as they can. 2. Many traders will be trying to offset an earlier lay bet. If this horse is looking like it will win the race that price of 1.09 won’t be there for long…Probably less than a second. So if you’re doing this manually your probably be too late and even bots may not be quick enough. The biggest issue will be that Betfair won’t have enough money to match at 1.09 and because they can not match your back bet under 1.09, then you will end up with an “unmatched” bet. Again we see the price go under 1.09 and we are at the same scenario as before except this time something happens on the course and suddenly our selection is no longer winning. So the opposite starts to happen and the layers get into the market and probably a lot of traders. Before we know it the price goes from 1.09 to 1.2 or higher and you are just in line to get matched as soon as Betfair can. The real point is that you are going to find it easier to get matched on a runner that has hit 1.09 and then goes on to lose, than you will on one that goes on to win. The complaint we always get from people who do not understand the way Betfair works is that you were matched higher than 1.09. Yep and that will happen a lot because that’s the way Betfair works! First of all if a runner goes to 1.09 then that would have been your selection. It doesn’t matter what price you get matched at after that, unless your runner goes onto win then you lose your stake. The point is (according to the rules of the system you are following) the runner did hit 1.09 at some stage so it was a selection. Secondly if you stick to 1.09 then you probably won’t get matched often enough to make the idea viable. Thirdly I am sorry to say but I know of people who have created very specialized software to follow this idea. I believe many of these people also have people at the tracks feeding them information or they have a connection that lets them see the race live. There are only two ways you may get this idea to work. When your selections hits 1.09 you put the bet into the market at 1.01 and see how often you get matched and at what price and see if it works. You put a bet into the market wait a second and then cancel. You either got matched or didn’t but at least you may not have wasted a bet on a runner that ended up losing. As I said at the beginning on paper the idea seems as if it will work but in practice it is a different matter. Still some sites still insist on selling this strategy as “easy money”. Thank you as always for reading I really do appreciate it. We have something a little different today from a guy called Jeremy Downing. Jeremy has been and still is making a lot of money from just 5 minutes per day. He has made a series of videos that teach his methods that took him 10 years to develop. Jeremy spent over £20,000 to develop and learn his methods and he is now dedicated to teaching others to be financially independent. Most of us would welcome the opportunity to make more money. If you would welcome another stream of income into your life, then I recommend that you watch Jeremy's videos. On Saturday Nick got off to a great start with his first column for us, with two of his selections placed at 16/1 and 33/1. We hope to have Nick back again soon. Following on from yesterdays post we had a couple of comments about bookies closing down winning accounts. Coincidentally this months Secret Betting Club newsletter had an interview with and ex odds compiler and a good deal of the interview was dedicated to how to avoid being closed down. Money won is not the issue here – instead it is the type of business, which is the concern. You can be a losing customer and still be cut – for example if you are an arber. If the customer appears to be price sensitive and regularly finding value and invariably prices shorten almost immediately after they back a selection, those customers will be monitored and likely restricted. It's getting harder and harder to stay undetected. The bigger your stake the more likely you might come to a trader's attention. The more obscure the market, the more likely you'll be looked into and monitored more closely. It's common place for shrewd customers to be restricted but kept on as a way of alerting the trader to a bad price. Like a red flag, if you will, so that the trader can double check that market/price. If you take advantage of technical errors on the website, where prices may be incorrect because of a trading application glitch, you'll be flagged up as someone who is aware of such instances. And thus more likely to be restricted as you're aware of weak points that can be exploited. The best way is to use a new identity (preferably male), with a new address and number and new card. If any one of these is the same you are liable to be shown the door early or not even get through the door to begin with. And on opening an account in your wife's name? Opening a female account is one of the worst ways to avoid being detected. Female accounts are viewed with immense scepticism and those accounts are immediately monitored once discovered. Interesting stuff and just part of a long and in depth interview that covers many other factors such as IP address tracking, cookies and why some accounts can go on for years without getting restricted, while others only last weeks. 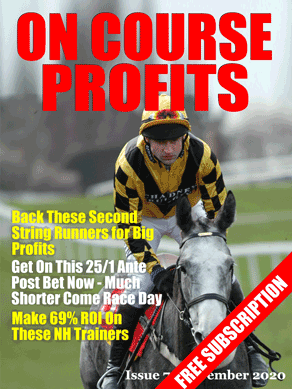 You can read the full interview in this months Secret Betting Club report.